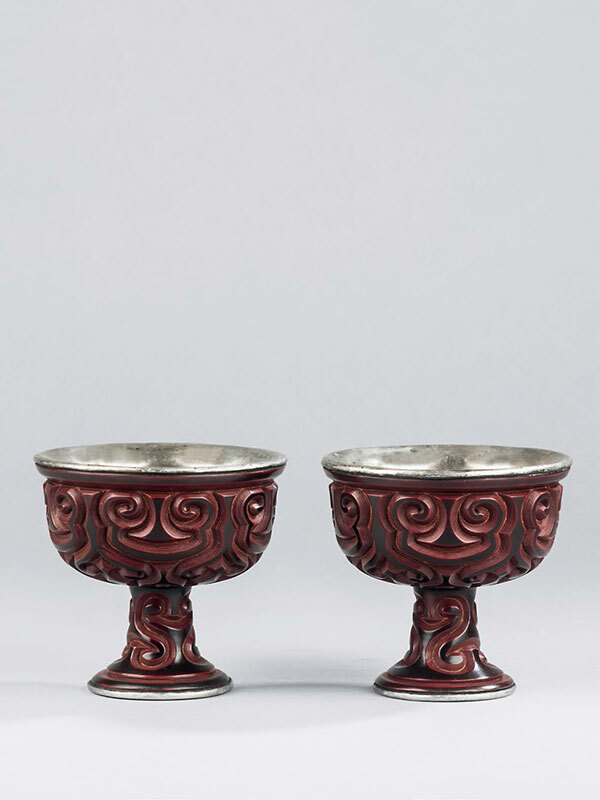 Two identical lacquer stem cups, the trumpet-shaped base supporting a shallow bowl with flared rim. The exterior of the cup is carved in the tixi technique with a single register of five carved pommel scroll motifs. An inverted scroll design is carved around the base of the cup. The exterior of the stem is further carved with four pommel scroll motifs. The distinctive grooves are cut through a thick layer of lacquer at an angle, revealing the alternating coats of red and black. The interior of the bowl and the slightly recessed base are lined in silvered metal.